Disclosure: Little Five Star sent me copies of these books free of charge for this review. All opinions in my review are my own and I did not receive any other compensation. As in all my reviews I am providing links for your ease, but receive no compensation. 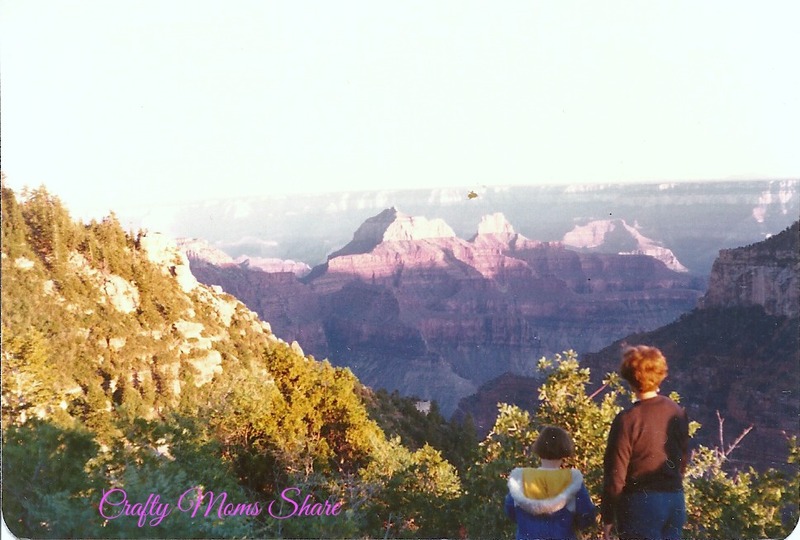 Today I am really excited to share with you our adventure in exploring Arizona. Now I have been to Arizona a few times in my life. The first was when I was almost eight. 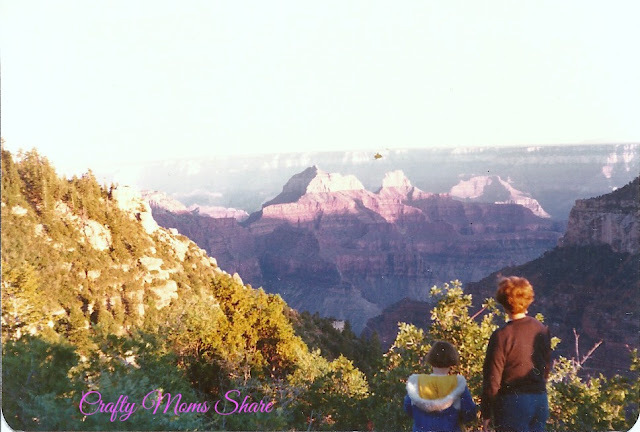 My family packed up our pop-up camper and car and traveled across the United States for an entire summer. Reading these books got me to help my mother search for our old photo albums and I'll share some old pictures with you. 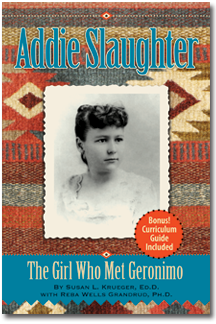 First we will start with Addie Slaughter: The Girl Who Met Geronimo by Susan L. Krueger, Ed.D. with Reba Wells Grandrud, Ph.D. This story is written in the voice of Addie Slaughter as she shares some of her memories of her childhood. It is based on her actual stories that were passed on to her daughter and in-depth interviews with Dr. Reba Wells Grandrud. Addie is the daughter of John Horton Slaughter. John Horton Slaughter was a Texas Ranger, Arizona sheriff and Civil War soldier. 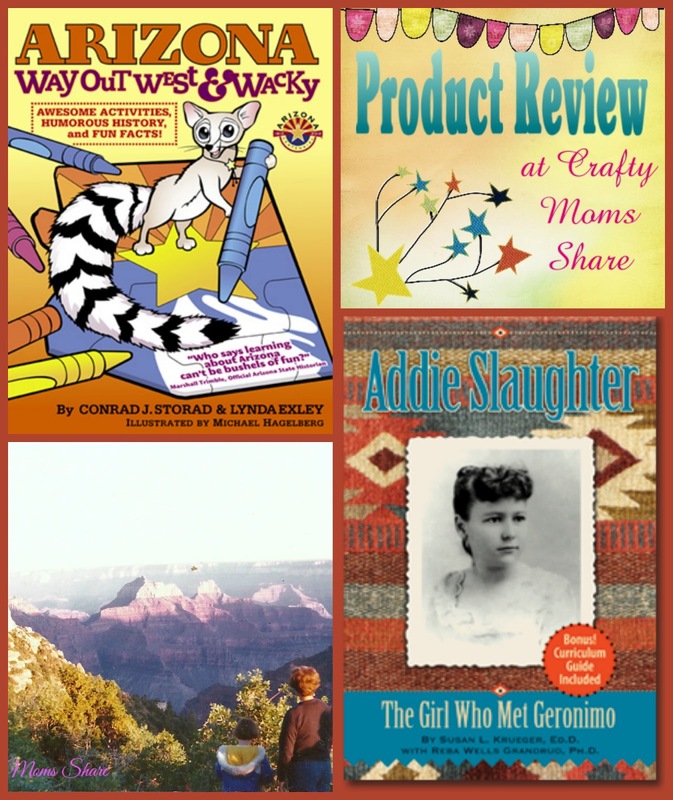 This book shares so many interesting tales of a young girl growing up in the Wild West. 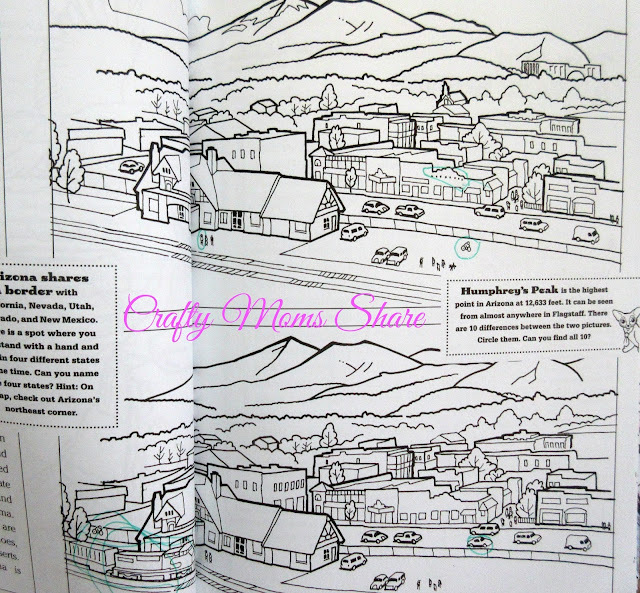 It is a chapter book for young readers. We loved learning about the adventures of Addie and her family as they moved from Texas to Arizona. Her life lead to many adventures being the daughter of the sheriff. Her father was well liked and well respected even by the Native Americans near them. He had the respect of Geronimo (real name: Goyathlay) and had him at the ranch a few times, however this is not where Addie met him. Addie met Geronimo after he was captured and was being transported to Florida. At the railroad station Geronimo called fourteen-year-old Addie over and put his necklace on her neck. She had gone over to catch a glimpse of the famous Native American fighter and leader. There was quite a crowd at the railroad station, but he picked Addie as the one to honor. The book includes a curriculum guide for teachers to use with this book. It includes pre-reading activities, during reading activities and post reading activities. There are also resource for learning even more about this great family and era. This was a book that Hazel asked me to keep reading another chapter. We really enjoyed learning about Addie and the experiences of being in Arizona in the late 1800s. We continued to learn about Arizona with Arizona: Way Out West & Wacky by Conrad J. Storad and Lynda Exley and illustrated by Michael Hagelberg. There are a few different versions of similar books on this topic. 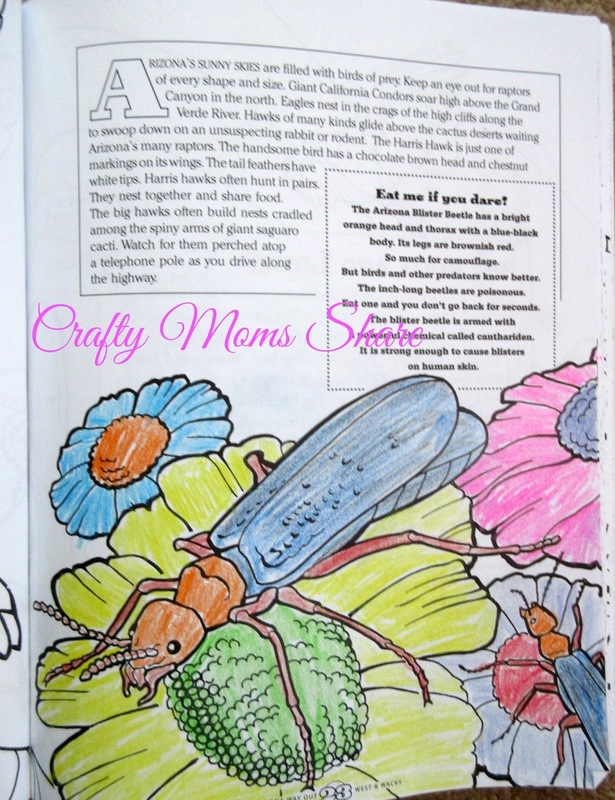 This one is an activity book full of fun information about Arizona. 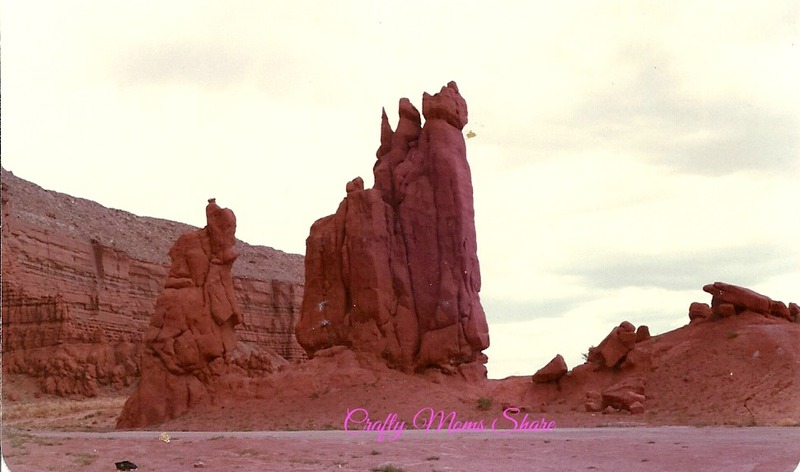 In this book there is information about the land, the animals, the people and the history of Arizona. There are even fun facts like Phoenix became the capital by one vote that has to do with a glass eye. There is a good amount of discussion about the beautiful scenery and the weather and of course about the Grand Canyon. The book also has puzzles, word finds and more to reinforce the learning about Arizona. There is so much packed into this book that the reader learns geography, culture, science and more. For us reading and exploring this book has been so much fun since Arizona is so different from New England. The scenery itself and the weather are so different. Now I just need to take Hazel so she can see it in person and not just books and old photos. We still have some more to explore in it but are really enjoying it (except for the story about ravens that freaked Hazel out a bit). 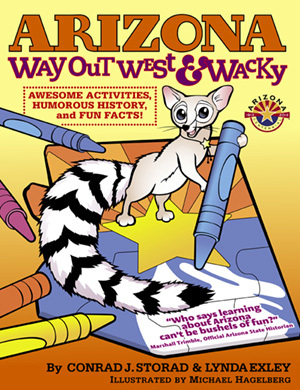 So if you would like to learn more about Arizona and the history of Arizona we recommend both of these fun books! !